Muztagh Ata, or Muztagata ("ice-mountain-father"), is the second highest (7546 metres) of the mountains which form the northern edge of the Tibetan Plateau (not the second highest of the mountains of the Tibetan Plateau). It is sometimes regarded as being part of the Kunlun Shan, although physically it is more closely connected to the Pamirs. It is also reputedly one of the easiest 7,000 m peaks in the world to climb, due to its gentle western slope and the comparatively drier weather of Xinjiang. 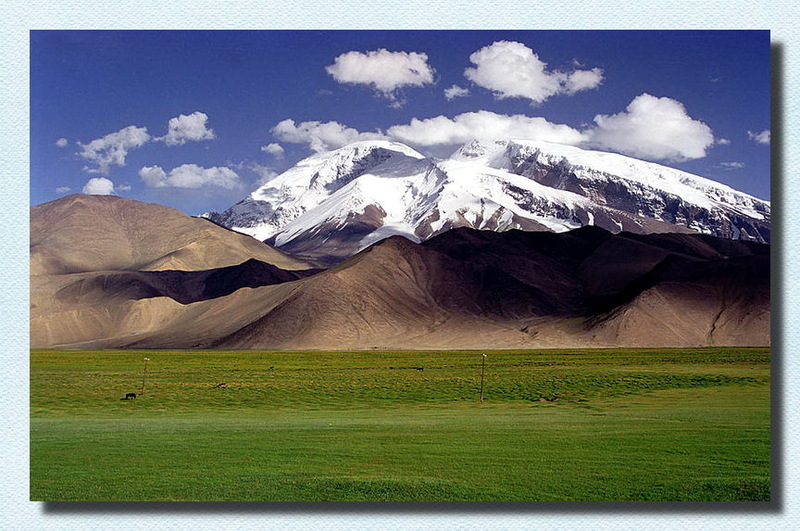 Muztagh Ata lies just south of Kongur Tagh, the highest peak of the Kunlun Shan. Together they form a somewhat isolated group, separated from the main chain of the Kunlun, and also separate from the Pamir Mountains to the west. (Both peaks are sometimes regarded as being in the "Chinese Pamir", and are more closely connected to the main Pamir group than the main Kunlun group.) Not far to the north and east of this group are the lowlands of the Tarim Basin and the Taklamakan Desert. The Karakoram Highway passes very close to both peaks as well as Karakul Lake, from which the mountain is conveniently viewed. The closest city is to the mountain is Tashkurgan, the westernmost town in China and very close to the border with Pakistan.